Between tonight’s episode and the season premiere, we have definitive proof of Michael Burnham’s greatest flaw: She is absolutely rubbish at guessing who is about to beam aboard the Discovery. So far this season, every time she thinks one of her Vulcan family members is about to materialize, she gets someone else. First we got the priggish, doomed science officer Connolly in place of Spock, and tonight Sarek is swapped out for his wife Amanda. Do this a couple more times and we’ve got one hell of a running gag, hopefully reaching its logical crescendo with the reappearance of Spock’s other previously unmentioned sibling. However intentional this bit is—it sure felt like Sonequa Martin-Green went a little more over-the-top with her surprised reaction this time around, but twice is hardly a trend—it’s Discovery’s clearest acknowledgment that it relies on the bait and switch to make its storytelling work. Reel people in with the promise of Spock, or in this case Sarek, then give us anyone else for as long as possible. Yes, there’s an intrinsic frustration to the show going back to this well, especially when it has now left behind the first season’s soft prohibition on directly acknowledging Spock—and double especially when there’s still no indication we’re getting the big Sybok arc we Final Frontier diehards have been waiting 30 years for—but it’s not all bad as long as the show uses each decoy as an opportunity to bring otherwise overlooked characters into focus. In the premiere, Spock’s absence allowed Christopher Pike to step into the limelight, and tonight Amanda gets the same treatment. Long portrayed as the eternally caring and patient counterweight to her various emotionally stunted loved ones—nothing less than serene, really—here we see the sheer tenacity required to make her otherwise impossible situation work. A key theme that emerges from tonight’s episode is that mothers are not to be trifled with. Amanda doesn’t go quite as far as L’Rell in proving that point, in that she doesn’t fake a pair of decapitations and promise to bring destruction to all enemies of her children, but stealing Starfleet medical records is plenty serious, and the latter was implied anyway. If only the greater focus on Amanda and her relationship with her children weren’t so in service of the mystery of the red angel. It’s not that it destroys or even cheapens Spock’s character to retcon childhood nightmares about a being that occasionally gives him impossible knowledge. Star Trek has been retroactively inserting major twists about Spock’s past for 50 years—that his parents were the Vulcan ambassador and his wife was arguably the very first one, as a commenter pointed out in last week’s review—but it does make the role of Spock and his parents this season subservient to that puzzle. It’s like Discovery agrees with what Michael says to Tilly: Give them all problems they can solve. The show’s prequel status stunts what it can do with the family dynamics, as Spock and his parents can’t deviate far from the estrangement seen in “Journey To Babel”, and it’s tricky to have Michael grow too much while leaving her loved ones in the same place. The continued hints at Michael’s terrible if well-intentioned childhood betrayal of her foster brother suggest a possible way forward there: She can atone for that while leaving everyone else in place. Credit to the show for specifically saying that what hurt Spock so badly wasn’t the red angel but rather Michael’s actions, and for having Amanda turn on her when she learns this. How well this ultimately works likely rests on how emotionally resonant the eventual reveal of whatever Michael did is. Discovery doesn’t have the best track record of earning the secrets it keeps, but it’s still early enough in the revamped new season to extend some benefit of the doubt. Tilly’s subplot straddles the line between each season’s storytelling approach. Discovery burns through at least the initial mystery of Tilly’s ghost in double quick time, which is only logical: To have her obvious distress and instability go unnoticed by the crew for much longer would make Starfleet’s best and brightest look like a bunch of morons. (Wouldn’t be the first time, either on this show or elsewhere, but still.) The eventual reveal that Mae isn’t a hallucination but rather a sentient, parasitically bonded spore from the Mirror Universe is both bonkers and a trace too neat. 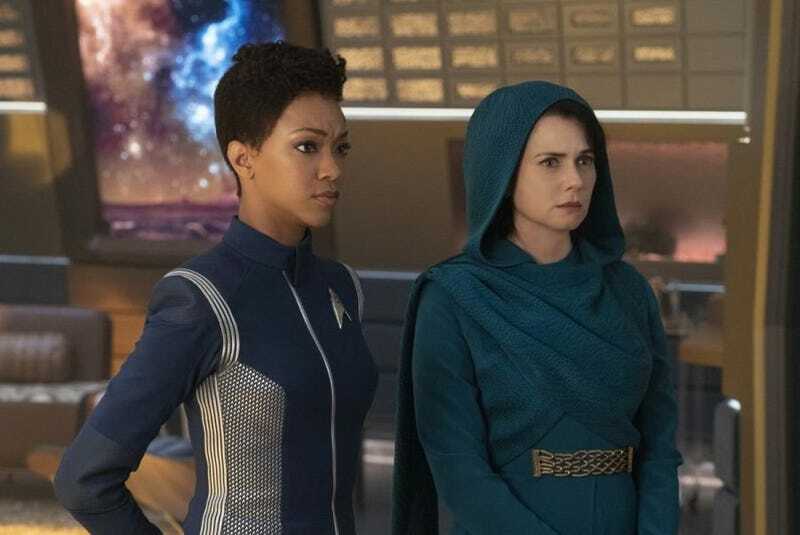 Her repeated claims that Pike is an impostor and demands for the old, blonder captain are the first time Discovery has teased that there could be more story to tell with Lorca. Yes, this proves a red herring, with Mae really meaning Stamets, but it’s fascinating the show would tease that at all—even muddying the waters again after the Stamets reveal by bringing up the Terran connection—when Pike went to such lengths in the premiere to stress the break he represents from the evil captain. It feels like there’s probably more to learn here, even if none of it has anything to do with Lorca or the Mirror Universe, but this is where the show’s issues with weightlessness makes it hard to judge: Maybe this represents the season-defining arc for Tilly, or maybe it’s just a bit of business to keep the rest of the cast occupied while Burnham gets meatier material with her mother and with Ash Tyler. Speaking of the former Voq: If I were feeling cynical, I’d say everything on Qo’noS is a means to write the Klingons out of this season, reintroduce evil Georgiou, and put her and Tyler together in Section 31, Starfleet’s black ops unit. The utter deus ex machina nature of her reappearance doesn’t help. Sure, it’s a memorable moment to see a hooded Georgiou appear out of nowhere and and kill a bunch of Klingons, but does that render Tyler and L’Rell’s struggles up to that point irrelevant? The counter to that is the episode’s Klingon story illustrates Georgiou’s point that L’Rell cannot have both her family and her empire, that the situation on Qo’noS is untenable as long as Tyler and their infant son are there. That all works well enough, especially when “Point Of Light” explores the complexity of Tyler’s relationship with L’Rell when he carries two men’s memories, but it’s all a bit too obvious. Of course the Klingons will not accept a leader, especially a woman, who openly consorts with a human. The way this all unfolds is predictable even to someone whose knowledge of Klingons is entirely limited to Discovery. This might be where some high-minded, Next Generation-style idealism from L’Rell about finding a better way because it’s the right thing from the empire might liven things up a bit, or—and this is admittedly more in line with what the episode is going for—some more fiercely pitched emotional stakes might lend Tyler and L’Rell’s story a feeling of epic, inevitable tragedy. “Point Of Light” is a decent episode of television, one that could be really good if Discovery had more courage of its convictions. Discovery knows how to be solid in its revamped formula, but it keeps making safe choices that leave it little room to be more than that. 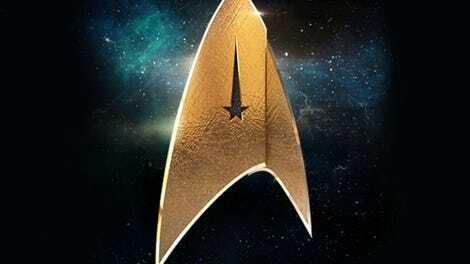 There’s no one kind of “proper” Star Trek that the franchise’s output can be judged against—pretty sure someone rather clever once made a point about the beauty inherent in infinite variety in infinite combinations—but what unites all the best Trek is total, fearless commitment to that incarnation’s particular vision of boldly going where no one has gone before. Discovery feels closer this season, and perhaps this episode’s clearing away of superfluous story threads like Tyler and L’Rell will help it get there, but it’s not there yet. I’m disappointed we get relatively little Pike in this episode, but I appreciate the show’s default vision of him is reasonable, agreeable authority figure. His interactions first with Amanda and Michael and then with Tilly helped their stories feel more grounded in the larger story of the ship and its mission. I’m not sure if Georgiou’s recruitment to Section 31 counts as a major revelation, given the show already released this deleted scene from the finale that shows how she joined up. I’ll be honest: I still need to see more of the Worf-centric Qo’noS episodes from The Next Generation, but about the only episode set on the Klingon homeworld that really stays with me is Deep Space Nine’s “The House Of Quark.” It’s either because that’s a great example of Star Trek subverting our expectations of what Klingons are like, or because of the look on Gowron’s face as Quark explains basic accounting. Thanks to Zack for letting me jump in on this week’s review, meaning I’ve now officially been able to write reviews of both all-important, preposterously long-running sci-fi franchises.